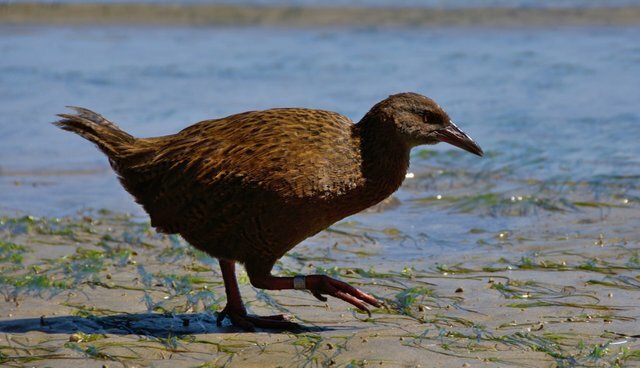 To hear Roger Beattie say it, a weka - a bird found in New Zealand also known as the Maori hen - tastes great. "A blend of lamb and chicken, but not greasy like a mutton bird," he tells Vice. But if you've never seen this bird on a menu before, there's good reason: They're listed as threatened across the New Zealand islands, due to predation from dogs, cats, ferrets and stoats, as well as loss of their habitats. Beattie, whom Vice describes as a "wildlife magnate" (he runs sheep and kelp farms, as well as a weka reserve), believes that the weka's path to salvation runs through a barn. "No species that have ever been farmed have ever died out," he says. And if his string of previous eco-ventures is any indication, it doesn't take much to imagine Beattie at the helm of a commercially successful weka farm. But his other goal - that of preserving the weka's wildness - would, in practice, fail. Few, if any, animals have been domesticated - which is what Beattie is proposing - without being transformed in the process. Consider the chicken: Guided by generations of farmers, chickens have become plumper, more full-breasted birds. The difference is more than meat-deep. Genetic comparisons between chickens and one of their wild ancestors, the junglefowl, have uncovered mutations in the domestic birds' DNA that let them mate and lay eggs year-round, as the Smithsonian Magazine points out. To be fair, the taming of the chicken has taken place over thousands of years. But even given a much shorter time frame, humans are no slouches at changing animals in captivity. 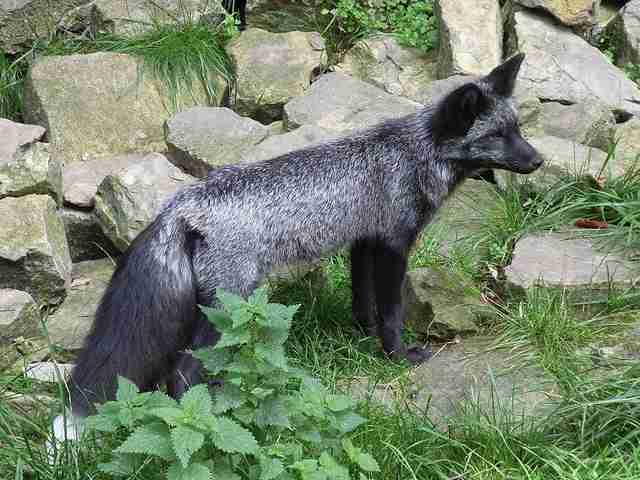 For about the past 50 years, Russian scientists have been breeding silver foxes, selecting the floppiest ears and friendliest dispositions. And in that half century, the fox has become altogether more hound. The tame Siberian foxes whine and wag their tails when humans are near - behaviors not seen in wild foxes, notes Evan Ratliff at National Geographic. Artificial selection, according to fox researcher Lyudmila Trut, has replaced natural selection. Beattie argues that, "Local farmers are living examples of people that understand genetics. Sheep aren't an endangered species - kiwi are." (Never mind that purebred wild sheep, called mouflon, are listed by the International Union for the Conservation of Nature as a vulnerable species.) 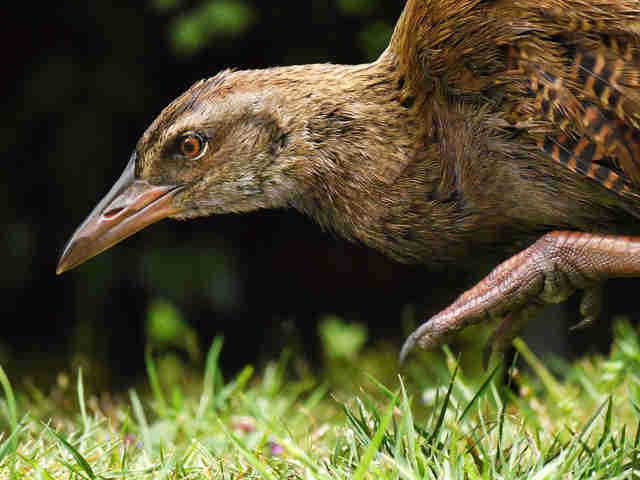 But even if domestication treated these birds more like cats than chickens - housecats are quite similar, physically, to wild cats - farming does not solve the weka's problems of habitat degradation and predation. because the loss, destruction and degradation of habitat is the major cause of the extinction crisis – driven ultimately by human population growth and over-consumption of resources – the protection and restoration of habitat for native species is the most important thing we must do to save species. The weka deserves protection, as Beattie admirably points out. But just as these birds don't deserve extinction, neither should they become the next chickens.